The next generation of Delaware leaders come from all communities across the state, no matter the resources available in their high school. Our tuition-free seven-year program with a three-year residential component helps the best and brightest students navigate the complex path to college acceptance, college persistence and career success. Starting the summer after 10th grade, accepted scholars begin the academically rigorous three-year residential portion of Delaware College Scholars. 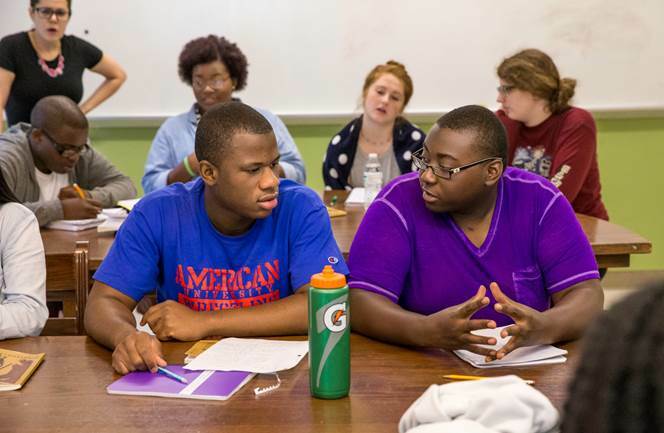 During these three summers, students live and learn together as a cohort taking college-level courses, living in a dorm setting, and working with DCS to navigate the complicated college acceptance, scholarship and financial aid process to find their best college fit. Upon college acceptance and throughout their college career, DCS maintains strong relationships with scholars. Program mentors and college persistence officers ensure students are on the best path to graduation.